CAIRO (AP) — Sudanese pro-democracy protesters who spent four months on the streets rallying against the country’s autocratic president pressed on with their campaign for a civilian government Friday, defying the military leaders who overthrew Omar al-Bashir the day before. The whereabouts of Sudan’s president of 30 years remained unknown, and though the military leaders had said he was in a “safe place,” the murkiness stirred rumors that he had fled the country or had been spirited out by the army and some part of the security apparatus, which had until Thursday served as the main pillars of al-Bashir’s power. Organizers of the demonstration said they would keep up their campaign and that they disagree with the army’s plans to rule the country for the next two years. It was not immediately clear if the army would move against the protesters. 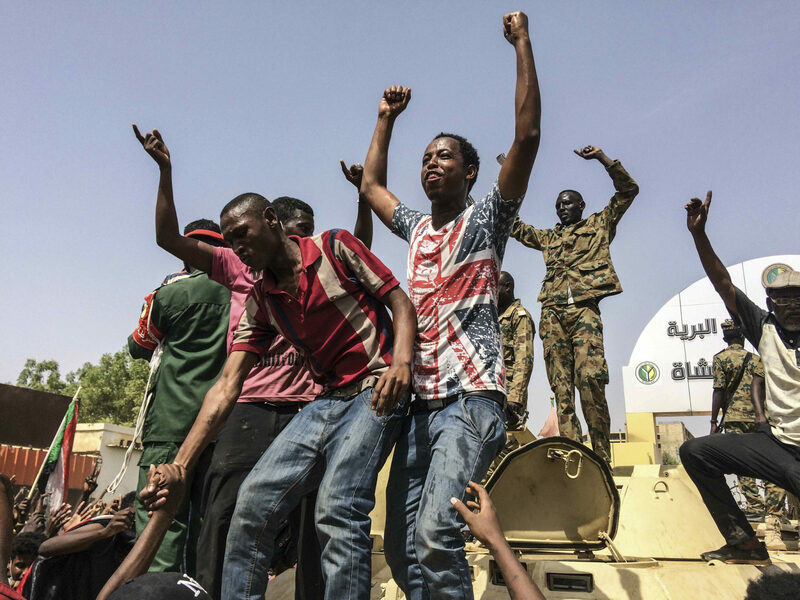 The mood on Friday among the crowd in Khartoum appeared festive, with protesters playing music and chanting, “Down again” — a reference to Defense Minister Awad Mohammed Ibn Ouf who announced al-Bashir’s ouster on Thursday on Sudanese state TV. The rest of the council is yet to be announced as the Sudanese official news agency reported that Ibn Ouf has postponed this step, pending “further consultations.” Meanwhile, the state SUNA news agency said that Ibn Ouf would hold a meeting with political factions and leaders of the protest movement later in the day, apparently to negotiate a political settlement. After the dramatic events of Thursday, when tens of thousands poured out ono Khartoum streets to celebrate al-Bashir’s ouster, human rights groups urged Sudan’s new military authorities to hand al-Bashir over to the International Criminal Court, where he faces charges of war crimes, crimes against humanity and genocide for his deadly campaign against insurgents in Darfur. In his televised announcement Thursday, Ibn Ouf said also that the military had suspended the constitution, dissolved the government, declared a three-month state of emergency and closed the country’s borders and airspace. A nighttime curfew was also part of the measures.